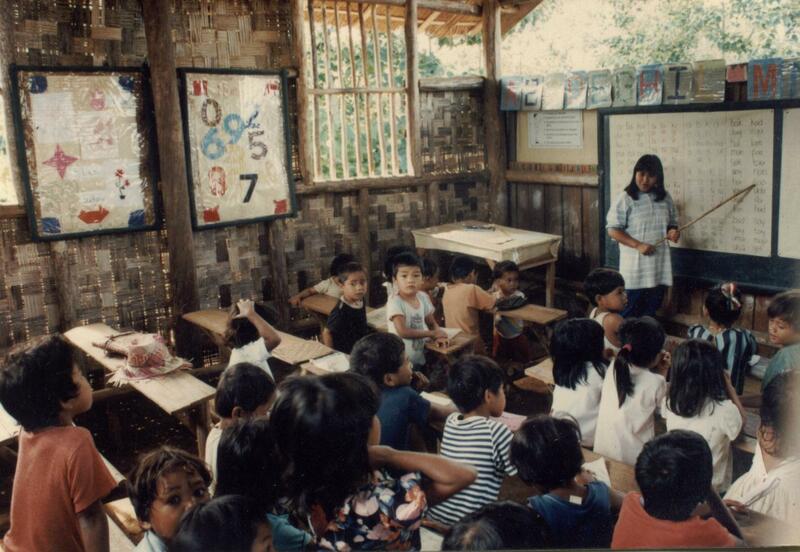 Right from the start, classes in Bendum were taught in the mother tongue. At first, this was because the community wanted their children to learn a practical literacy and numeracy that would be useful for community life. Later, as the engagement with the community developed, the people of Bendum began to articulate the value they place on cultural identity and saw the school’s use of the mother tongue and its teaching of cultural knowledge as integral to sustaining this identity. 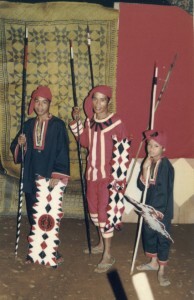 It must be said that the Pulangiyen identity is a recently resurfaced identity. 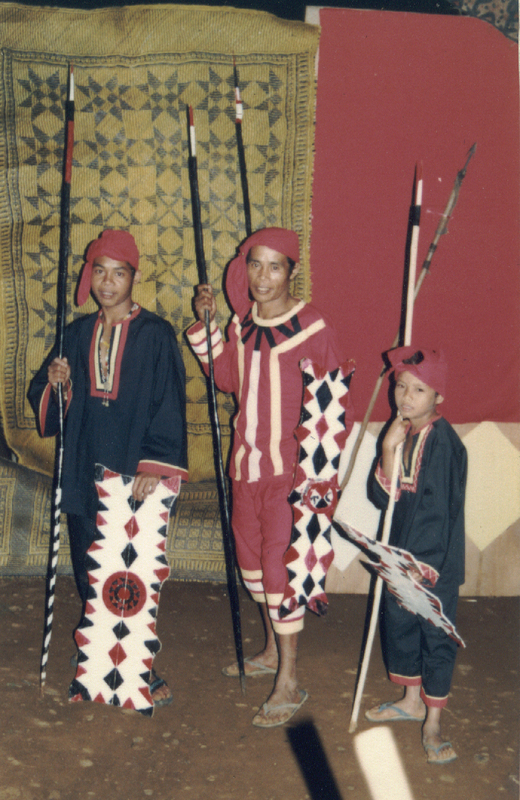 In the past, the people of Bendum identified themselves simply as lumad, a generic term for Indigenous Peoples in Mindanao. Historically, Indigenous Peoples retained their cultural identity by refusing to be assimilated in the new social orders brought about by the Spanish and American colonizers. However, refusal to assimilate also pushed many of the indigenous communities to the fringes and driven up the mountains where they had to contend with increasingly unproductive land, limited access to health and education services, and on the whole, being marginalized from the wider political and economic process. This physical, social, economic, and political marginalization has an impact on their own view of their language and culture, considering these of limited value in broader Philippine society. It is the same in Bendum. 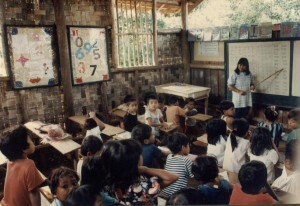 However, with the continued use of the mother tongue and the teaching of cultural knowledge in the APC school, there is now an increasing appreciation of their language and culture among the students and teachers and other youth, communicated back to their households and families and the older generation. Because the mother tongue is used in school, the message communicated to both adults and the young is that the mother tongue is important and is valued. Now, children and adults alike speak the mother tongue proudly in the community. They expect visitors and outsiders to learn their language, instead of accommodating the latter by speaking Bisaya, the widely used language in Mindanao and the Visayas regions. Through the school, the community’s cultural practices become alive and are not just lessons in Social Studies, allowing their cultural history to be passed on to the next generation. 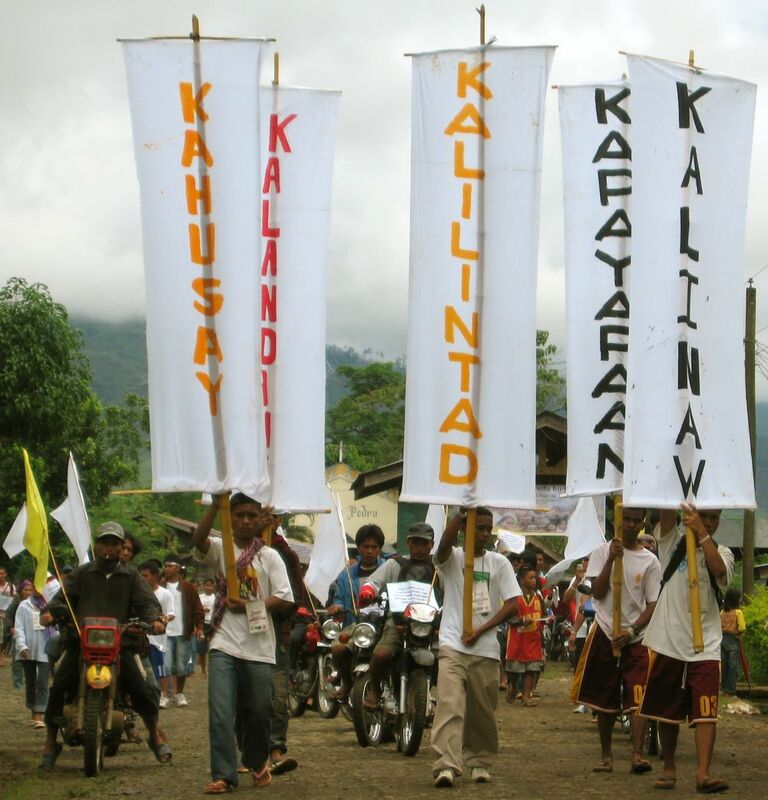 Recent years have seen a shift from the generic lumad identity to a more specific and more reflective Pulangiyen identity. In Science classes, APC students compare their people’s farming methods that allow land to lie fallow for a few years and naturally recover its fertility, with those of the migrants that involve permanent and intensive agriculture with heavy inputs of chemical fertilizers and pesticides. In Social Studies classes, they study the indigenous political system, comparing this with the local government system such as the sitio and barangay. In the lower grades, young children listen to folk tales, instead of just the usual fairy tales, and learn the cultural values in these stories. In all these, APC students learn that there is much knowledge and wisdom in their culture. They learn that not all knowledge comes from books, and that their parents and the community’s elders are important sources of knowledge. They learn that their way of life is valuable, not only because it is theirs and ties them to their forebears, but because it continues to be relevant as they grapple with the challenges their communities face today. In recent years, for example, a deeper meaning to the word “Pulangiyen” was discovered. While this literally means “of the Pulangi River,” their name also comes from the word pulang, which is a historical cultural practice of resolving conflicts. This custom involves disagreeing parties keeping vigil and going to sleep only when a resolution is achieved. Historically, the Pulangiyen People were known as “bearers of peace.” They refused to take part in the tribal wars common in olden days and provided a sanctuary to those orphaned and widowed by these wars. They gathered the datus of different settlements and brokered a peace agreement that laid out laws and customs about how the communities could live together in peace. This is what it means to be a Pulangiyen, to be a bearer and broker of peace. In the midst of the present lack of peace in the area that surrounds Bendum, the Pulangiyen people rediscovered a cultural value and practice that can guide their action. Rebel and military clashes continue in the area and these often leave communities in a state of fear and uncertainty. Indigenous youth are often drawn into the fighting and recruited by the two opposing sides. The Pulangiyen identity of being bearers and brokers of peace teaches Pulangiyen youth that there is an alternative to violence and armed clashes. It also challenges them to become bearers and brokers of peace themselves in their own lives and communities. The practice of pulang teaches them a practical way to make this happen. Thus, Pulangiyen youth and children are learning that there is much wisdom in their culture, a wisdom that provides answers even to the challenges of today. This is significant because mainstream Philippine education and society are generally oriented towards the West. Western values are learnt in school and in the media and there is a seeming mindset that all answers and expertise can only come from the West. APC seeks to form its students for community leadership – students who are engaged with what is going on in the community and students who will remain in their villages after high school or college instead of getting jobs in the city. In Social Studies class, APC students engage with different community concerns such as land security and peace and order, learning about how these concerns are being addressed. 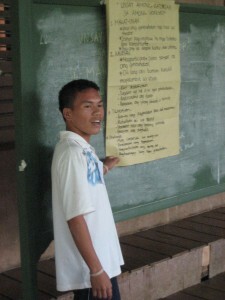 Older students participate in village committees such as the water and forest committee. When a local concern emerges such as a suspicious soil sampling in the village by outsiders (e.g. by prospective mining firms), teachers and students take the lead in addressing the matter and seeking a resolution. Thus, the focus is on how APC students can help their people and their community, and how they can help protect and manage their gaup, which is their ancestral domain and where they live. For those of us who live in cities and therefore do not interact much with nature, the environment can seem like an abstract, intangible reality. For the Pulangiyen people, whose livelihood is mainly resource-based, the environment is a daily reality. The gaup in which they live, with its forests, farmlands, and bodies of water, is their experience of the environment. It is thus within the context of the gaup that APC teaches its students about environmental management and how to care for the land, water, and life of the area. Because Indigenous Peoples traditionally live close to the land and to the forest, they have had good relations with the environment. They pay respects to the Migbabaya, Creator of all things, and to His spirit guardians in the water, land, and all living things. They conduct prayer rituals when farming and ask permission before beginning an important task. The whole attitude is one of respect, a recognition of a Creator and an awareness that one is part of this whole creation. And because their life is heavily dependent on natural resources, the Pulangiyen know how to farm and extract resources without depleting the land and the forest. This way of life, though, was disrupted by the entry of corporate logging operations in the 1960s and 1970s. The logging company also brought migrants from the Visayas, who stayed and eventually dominated local politics and the local economy. The migrants eventually gained ownership of much of the fertile lowlands and brought with them their permanent agriculture practices. Since the APC team began working with the people of Bendum, trees were gradually replanted in the village. 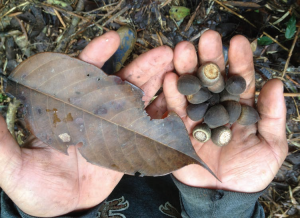 Through the school and various efforts in the community, Pulangiyen children are again growing up with an awareness of how important the forest is and how the way land is used can impact on the environment. Other continuing efforts include the protection of the community’s water source and assisting the forest to regenerate naturally. This is done by tending to wild saplings, planting trees of the forest in the water source, and maintaining the area through regular brushing and weeding. This approach to regenerating forests, which is different from the traditional massive planting of trees in an area, is also practiced in other parts of the world. APC students and the youth of Bendum are involved in these activities which all revolve around taking care of the different aspects of the Pulangiyen gaup – the water, the land, and the forest. 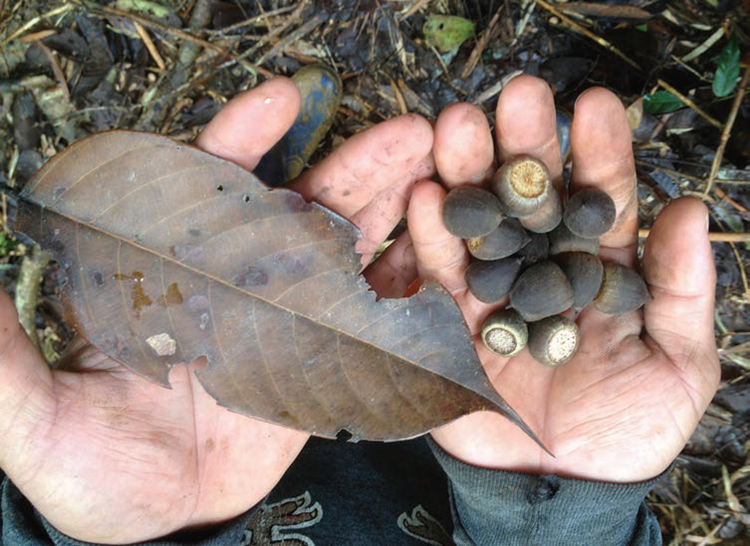 Beyond these practices, there is an effort to teach Pulangiyen children about the ecological services that an upland forest community such as theirs provide to people in the lowlands and to the global community. APC students learn that the Bendum forests absorb carbon dioxide from the atmosphere and thus help mitigate global warming. They learn that their responsible land use helps prevent soil erosion and landslides down the valley, and contributes to generating hydropower for Bukidnon by preventing the build-up of sediment in the river system. Guiding Pulangiyen children in practical initiatives and in gaining a greater scientific understanding are important, but these must be grounded in developing their basic sense of respect and gratitude for the environment and for the Creator who provides for them. It is from this sense of the sacred, fostered in indigenous spiritual practices, that APC seeks to teach students how to better care for the land, water, and life in their gaup. Culture-based education programs such as APC show us that there is a wealth of knowledge and wisdom in local cultures and languages. Cultures grow and change over centuries as people struggle with the questions of how to survive, live with others, and find joy and meaning in their lives. Local cultures thus contain the accumulated wisdom of our forebears, and also the lessons, and are critical reminders and references in our contemporary world as we reckon with the challenges of a changing world.